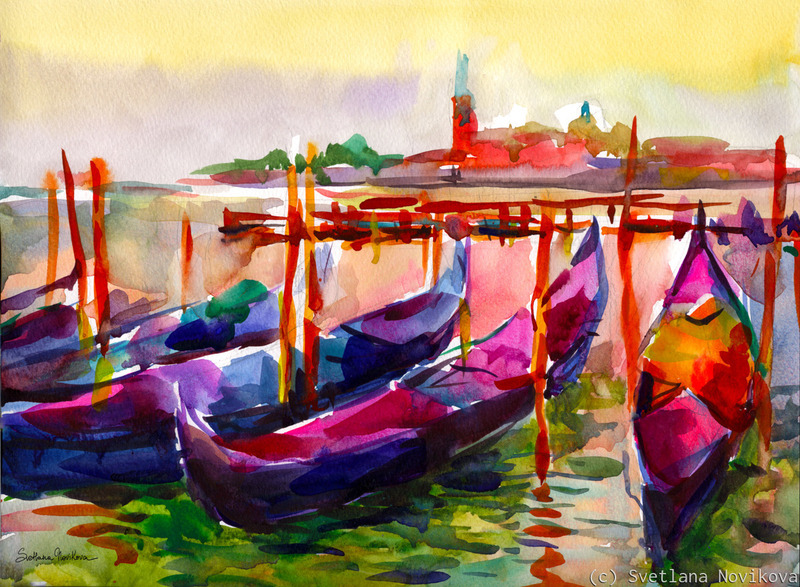 Colorful Venice Canal with boats painting by Svetlana Novikova, all rights reserved. Original is currently available for sale, colors may look slightly different on the original (print was adjusted for print). 9" x 12.25"13" x 17.75"17" x 23.25"18" x 24"21" x 28.5"25.75" x 35"